Skinny's Barber Shop is different than the chain of so-called "barber shops" that seem to be all over Austin. We are an old school barber shop using traditional methods to give our clients the highest quality cuts. Skinny's is the home of the Hand Crafted Haircut. We take pride and dedicate our time to giving the best haircuts in town. Our goal is that you leave with a good experience every visit. Appointments are available for a fee but walk-ins are always welcome. So give us a shot and stick around if you'd like. We are excited to have this guy at our shop! 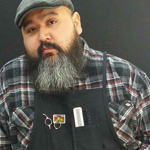 Marcos has over 16 years of barbering under his belt. He is well-rounded in all hair types and styles. Tapers and fades are what he loves to do and it shows in his work, so book Marcos for your next appointment. Tasha has been cutting hair around Austin for a little over 12 years now. She is super-talented with the shears in hand. With reliability, her specialties include gentleman's cuts and layer cuts. Cesar has been cutting tapers and fading for a while now. He decided to make it his profession about 2 years ago. He's very genuine and loves being a barber. He's very dependable as well. Come through and give him a shot! Bobby is a very talented up and coming barber. His specialty is the classic gentlemen's haircut but he can cut a mean fade and taper as well. Come by and sit with him, you won't be disappointed! We would like to welcome Stacey aka Tiny to the team! Stacey has been in the industry for 2 years and he is eager to hone his skills and master his craft. Stacey is excited to join our team of talented barbers so please help him get his feet wet and book your next appointment with Stacey. Matt is a South Austin native and has been cutting hair in the Austin area for the past 7 years now. He is great with all types of hair texture and styles, both modern and classic. His fade work is amazing as well. When it comes to the cut, this barber doesn’t disappoint. Skinny's been cuttin' heads and perfecting his craft for over a decade. Deceptively casual, his attention to detail and commitment to the art of barbering is seen in the focus he puts into every cut. Mark is a fisherman and a native Texan. He’s been barbering in Austin for the past 5 years now. He specializes in fades, shaves, and tapers. He can do it all. 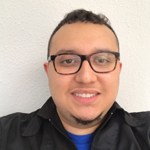 Juan began his career barbering at a young age in his native country of Nicaragua. He has been barbering in Savannah, GA for the past 10 years. His diverse skill set allows him to satisfy everything from artistic requests to the more classic-style haircut. He warmly invites you to have a seat in his chair. Jessica has been barbering for the past 14 years in and around the Austin area. She is very passionate about her craft and it shows. Book with Jessica for your next appointment. Bryant has been barbering for the past 7 years now and comes from a family of barbers. He is a very well-rounded barber, skilled in all styles and types of hair. He will be working here full time, and he’s consistent with his work. Come give him a shot for your next haircut. "We are a small, local barber shop that is new to the community. My hope and goal is that every client walks out of my shop with a well crafted haircut and a great experience in an old-fashioned barber shop. We are a team of 5 at the moment and are trying to keep our wait times to a minimum." Details and photos coming soon for our latest expansion!